The Ultrasonic Thickness Meter is an advanced ultrasonic thickness gage packed with standard measurement features. 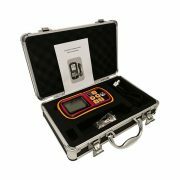 This unique instrument is compatible with most range dual element and single element thickness gage transducers, making this innovative instrument an all-in-one solution for virtually every thickness gage application. It is a simple and straightforward gage that requires minimal operator training to tackle most common thickness gaging applications. 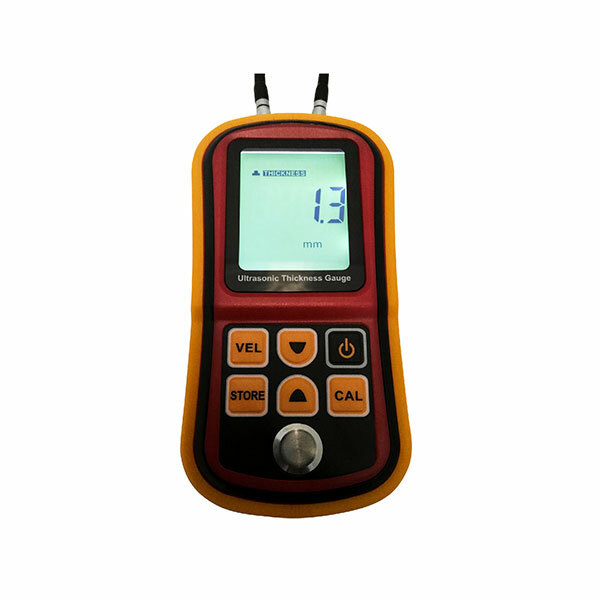 From a simple corrosion gage to a multi-purpose precision thickness gauge, this ultrasonic thickness gauge adopts the ultrasonic measuring principle with an advanced microprocessor, providing a fast and accurate measurement for most of the common industrial materials. Refer to table underneath ‘Sound Velocity of Common Materials / Media’ as a brief guideline. 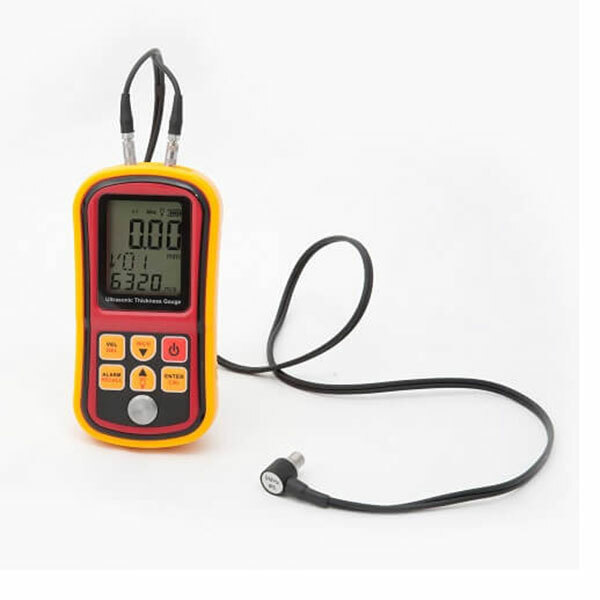 Its sound velocity is adjustable to suit some specific applications. 10 set of data storage is applicable with recalling function of latest measurement. 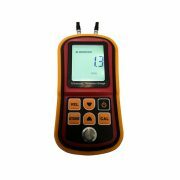 The device can be calibrated by user if necessary after a period of service time to enhance its accuracy. 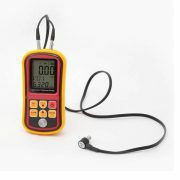 It is a great product for engineering, manufacturing, inspection or other relevant industries. When the given thickness is over 20mm, the accuracy is ±1%. When the given thickness is less than 20mm, the accuracy is ±5%.